This paper describes a new method for the determination of citalopram in biological fluids using molecularly imprinted solid-phase extraction as the sample cleanup technique combined with high performance liquid chromatography. The molecularly imprinted polymers were prepared using methacrylic acid as functional monomer, ethylene glycol dimethacrylate as crosslinker, chloroform as porogen and citalopram hydrobromide as the template molecule. 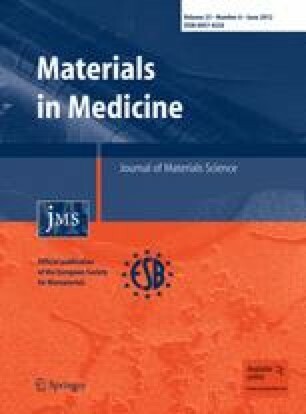 The novel imprinted polymer was used as a solid-phase extraction sorbent for the extraction of citalopram from human serum and urine. Effective parameters on citalopram retention were studied. The optimal conditions for molecularly imprinted solid-phase extraction consisted of conditioning with 1 mL methanol and 1 mL of deionized water at neutral pH, loading of citalopram sample (50 μg L−1) at pH 9.0, washing using 1 mL acetone and elution with 3 × 1 mL of 10 % (v/v) acetic acid in methanol. The MIP selectivity was evaluated by checking several substances with similar molecular structures to that of citalopram. Results from the HPLC analyses showed that the calibration curve of citalopram using MIP from human serum and urine is linear in the ranges of 1–100 and 2–120 μg L−1 with good precisions (2.5 and 1.5 % for 10.0 μg L−1), and recoveries (between 82–86 and 83–85 %), respectively.